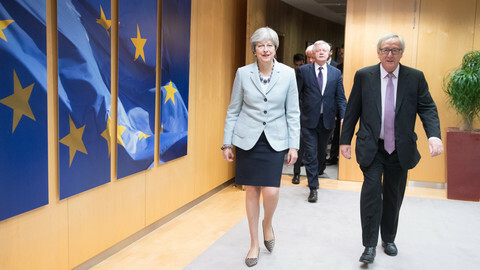 Brexit negotiations in Brussels did not yield a breakthrough on Monday (4 December) on the withdrawal issues, with talks continuing later this week to achieve enough progress before a crucial EU summit next week. 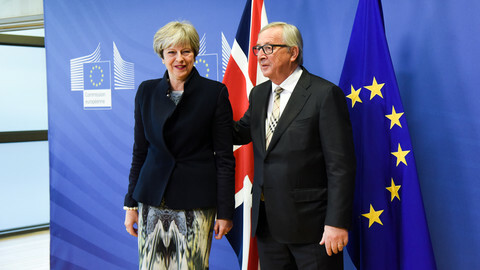 As EU Commission president Jean-Claude Juncker hosted British prime minister Theresa May for lunch, it is understood that the British prime minister's Westminster allies back in London, the Democratic Unionist Party (DUP) were opposed to the emerging deal on the Irish border issue. 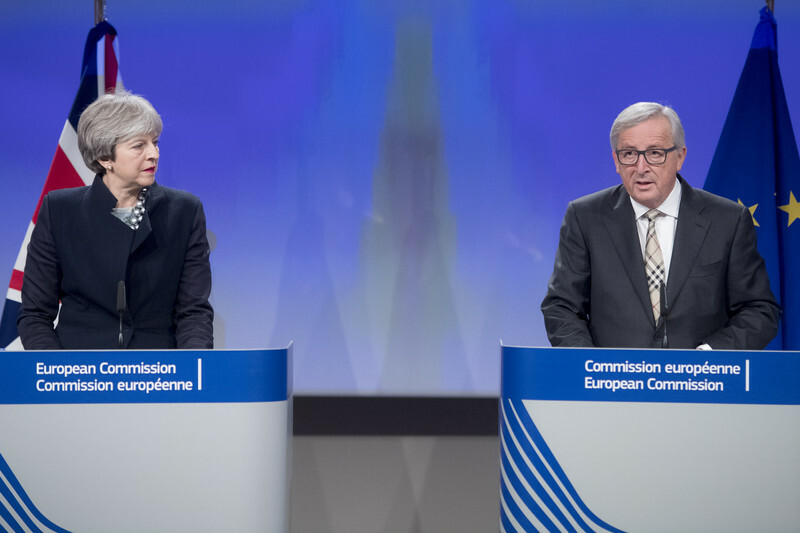 Juncker and May said Monday afternoon that they still need to work out "two or three" issues before a recommendation to start the next phase of talks on transition and future relations can be made. "Despite our best efforts and significant progress we and our teams have made over the past days on the three main withdrawal issues, it was not possible to reach a complete agreement today," Juncker said. "On a couple of issues some differences remain, which require further negotiations and consultations," May concluded. However, both sounded confident that a deal can be achieved before EU leaders gather next week. "I'm still confident we can reach sufficient progress before the European Council of the 15 December," Juncker said, suggesting talks on Ireland could continue into next week. "This is not a failure," he added. "I am confident we will conclude positively," May said. Juncker, in what seemed like an effort to boost May's image, said: "She is a tough negotiator, not an easy one." Monday's lunch had been called the "absolute deadline" for the UK to propose compromise solutions on the outstanding divorce issues, such as citizens' rights, financial settlement and the Irish border issue. The most pressing of those three issues to resolve has been the border between Norther Ireland and the Republic of Ireland. The Republic of Ireland wanted to see guarantees that Northern Ireland will not diverge from EU regulations, to avoid a hard border on the island that has seen decades of sectarian violence. Earlier in the day, MEP's tasked with Brexit met with Juncker and said that the UK has agreed to commit to align Northern Ireland with EU regulations. They said a compromise is within reach, pending on if Irish and British leaders can agree on a language to best formulate that. The crux of the matter appeared to be the nuances between preventing 'regulatory divergence' and keeping 'regulatory alignment'. 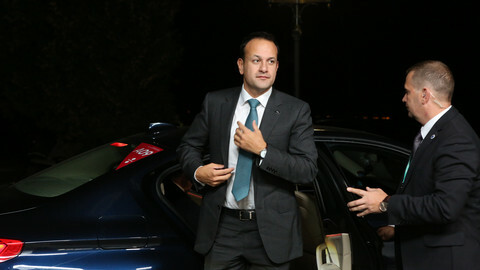 In another sign a deal has been possibly within reach, Irish PM Leo Varadkar was going to make a "positive statement" on Brexit on Monday. But agreeing to a regulatory alignment with the EU in Northern Ireland after Brexit angered many in the UK. Scotland's first minister and London's mayor – who both opposed Brexit – suggested they would like such a deal for themselves as well. Even Carwyn Jones, Welsh first minister joined them, although Wales voted for leaving the bloc. "If one part of UK can retain regulatory alignment with EU and effectively stay in the single market (which is the right solution for Northern Ireland) there is surely no good practical reason why others can't," Nicola Sturgeon tweeted. "Huge ramifications for London if Theresa May has conceded that it's possible for part of the U.K. to remain within the single market & customs union after Brexit. Londoners overwhelmingly voted to remain in the EU and a similar deal here could protect tens of thousands of jobs," mayor Sadiq Khan followed up. Crucially, May's allies supporting her minority government, the Northern Irish Democratic Unionist Party (DUP) fiercely resisted the latest version of the language in the joint report summing up the progress of Brexit talks. DUP leader Arlene Foster said at a press conference on Monday afternoon that she cannot support an agreement which might see Northern Ireland exit the EU on different terms than the rest of the UK. "We will not accept any form of regulatory divergence which separates Northern Ireland economically or politically from the UK," Foster said, adding: "The economic and political integrity of the UK must not be compromised." 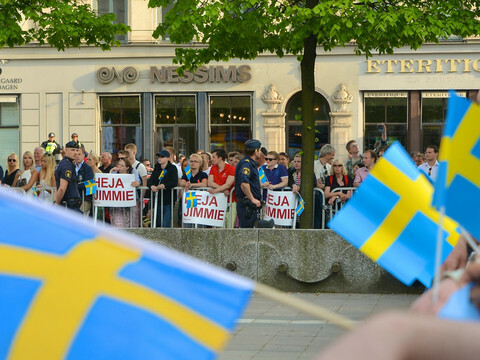 It is unclear yet when talks will continue this week. The college of commissioners will meet on Wednesday (6 December) and formally agree whether to recommend to EU leaders to move talks into their next phase – on the transition period and the potentially even more tricky future relations between the UK and the EU, including trade. 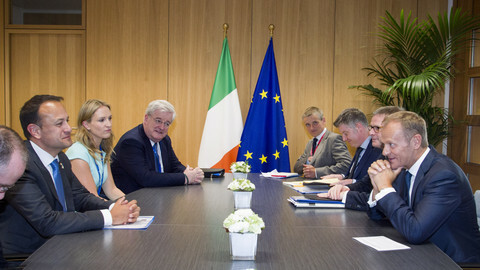 Ireland, the UK, and the EU had an agreement before British PM May and EU Commission chief Juncker sat down for lunch. By dessert, there was no deal. 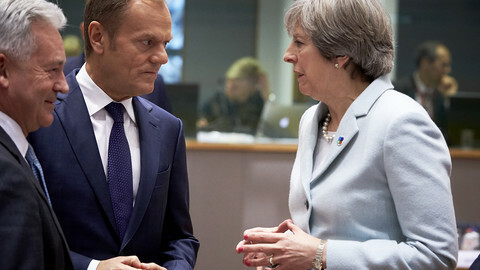 The EU will not have enough time to prepare for launching the second phase of Brexit talks at the summit next week, if the UK government does not come to an agreement on the divorce soon.